Q: What is the turnaround time on a custom design? A: Depending on how many revisions you request it can take anywhere from a few days to around a week. If your order is larger you can possibly add on another week. Q: Will you apply my custom design or will I need to? A: Yes! Application is free with your custom design unless you would rather do it yourself then you are more than welcome to! Q: Can I request a particular designer? A: Yes, please let us know in your order form the name of the specific designer you would like to work with! Q: Do you design characters? Q: What is the difference between the "Horizontal Navigation bar" and the "Horizontal Navigation Image Bar"? A: The horizontal navigation bar is just having us put any links below you header like, "About Me, Contact, Home", etc. these links will be labeled in a traditional font and color. 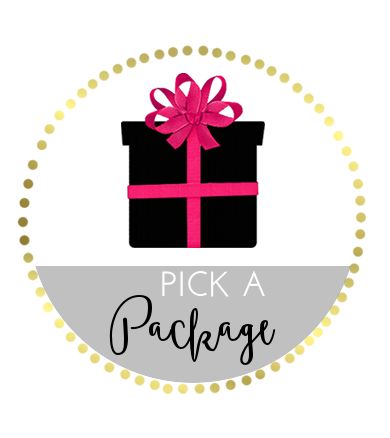 If you purchase the navigation bar with the "image" option then we will design individual buttons for each of your links with a cute font, lots of color and design elements to match your blog to give it a very "put together" feel! Q: Do you do custom design for Wordpress? Q: Can I purchase a custom design as a present for someone else? Q: How does the custom design process work? 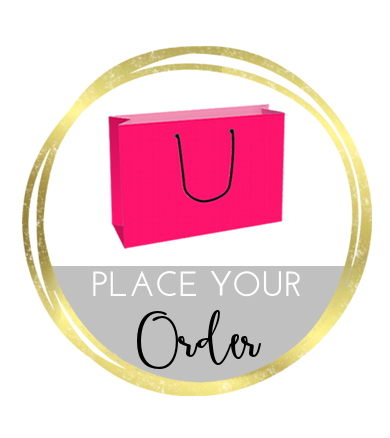 A: Once you have placed your order and we receive it along with your payment then we will contact you requesting more information on your design. 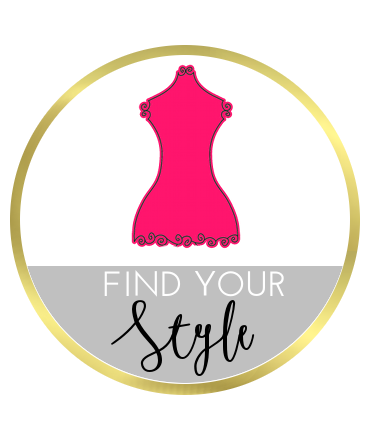 Once we know what you are looking for then one of our incredibly talented designers will get started designing something super cute for you! A: you pay up front when you place your order. This is to ensure that our designers get paid for the work that they do and the time they put in! But don't worry we will make sure you are totally satisfied with the end result! Q: What if I have trouble with my custom design? 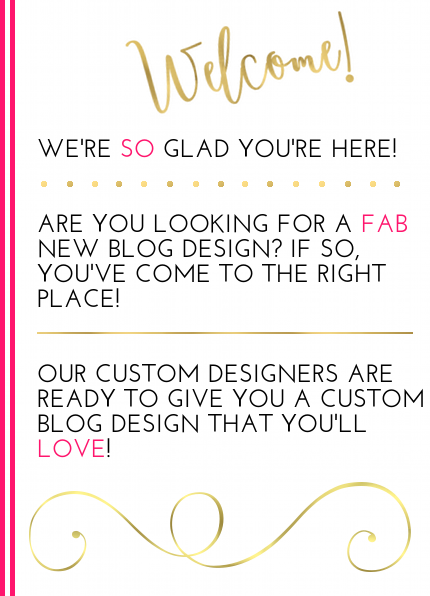 A: We are here to help you with your blog even after we are done designing it.Please contact us if anything seems off at design@thecutestblogontheblock.com! Q: I want to be able to automatically post different signatures to different posts. Can I do that? A: If you have more then one author and you want to be able to each post your own signature you will have to manually insert the individual signature into each post at the bottom as a picture or a code. Unfortunately you can only have one signature post automatically. Q: My blog background is loading really slow! What can I do to speed it up? A: There are a number of factors that can affect loading speed. Internet connection speed, the amount of animated elements you have, many items to load, etc. Something that may help would be to put your background code near the top of the "Design" page, like underneath the header so it will be one of the first gadgets to load. Q: Can I buy one of your free backgrounds and have it taken off of your site so only I can have it? A: We would not be able to let you buy one of our free backgrounds, but we CAN design a custom background for you that has the same elements you like from any of our free backgrounds. Q: I uploaded a picture to be my header/banner and it is way too big/small! How can I re-size this? A: If you have a photo editing software like Photoshop or even a simple free program like paint.net you can re-size your picture. You can experiment with different sizes until you find one that looks appropriate for your blog! Q: Can I submit ideas for new free backgrounds? Q: Can I use elements from your free backgrounds to create my own PERSONAL blog elements? A: You may as long as you are using them for PERSONAL USE ONLY, to create elements to match your free background or banner from TCBOTB. Q: What styles can you design in? A: We can design in ANY style that you like! We want YOU to be happy with the end result so despite what we have designed for someone else we can create something totally YOU! Q: I want to totally revamp my entire blog! But I am not sure what I should order? A: We would be glad to help you figure out the best elements to revamp your blog with! Just contact us at design@thecutestblogontheblock.com and we can discuss what you want and the best way to achieve it!